Increasing maintenance costs and strict health and safety regulations faced by companies in the recycling and waste industry has resulted in a greater demand for more transportable separation equipment, which offers on-site flexibility and reduces risk hazards. In response, Eriez Europe has collaborated with equipment manufacturer Ecohog based in Co. Tyrone, Northern Ireland to provide an innovative, adaptable and robust solution in order to meet customer demand, legislation and variable changes in the market place. In 2015, Ecohog carried out systematic market research into Eddy Current Separation (ECS) units to combine with their mobile Hogmag unit to produce a mobile separation machine. With over 20 years’ experience manufacturing ECS units delivering high performance rates; Eriez Europe was the ideal collaboration for providing the magnetic systems for the HogMag Metal Separation unit. According to Eriez Europe The HogMag unit incorporates an Eriez magnetic drum separator in order to remove ferrous metals such as iron and steel from all waste streams and prevent potential damage to downstream equipment. Additionally, the Eriez premium RevX-E ST22 ECS unit offers according to Eriez Europe unprecedented recovery of non-ferrous metals such as aluminium, copper and brass as small as 1-2mm. Tracey McNally, Managing Director at Ecohog commented, “Ecohog are delighted with our continued collaboration with Eriez Europe, in our view they are the market leader in terms of their magnetic separators, technical support and customer care. 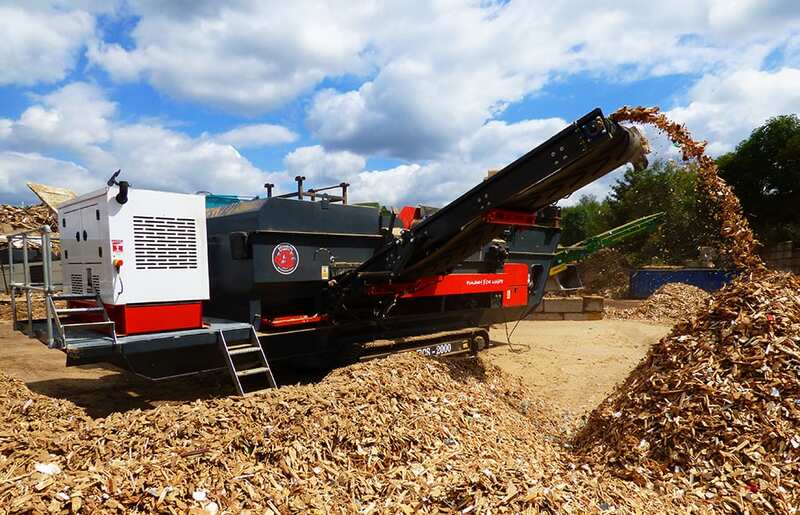 Our ongoing relationship has seen us provide Eriez eddy currents and other magnetic separators into a range of recycling applications globally including wood waste, incinerator ash, landfill reclaim, MRF glass clean up and automotive frag. We have exciting plans for us both in terms of the development of a new mobile product for the scrap metal sector; this will build on the outstanding success of our THM ECS-2000 introduced to the market last year”.